This isn’t the most instinctive location to build a mine. Goldcorp’s Borden Lake project lies just south of the Chapleau Crown Game Preserve, the world’s largest at 2 million acres (700,000 hectares). The portal is a stone’s throw from the pristine body of freshwater for which the mine is named, brimming with trophy fish each spring. Part of the orebody Goldcorp will ultimately mine sits beneath the lake, whose water is sacred for the area’s four First Nations communities. It’s no surprise, then, that Borden project manager Luc Joncas uses words like “invisible” and “silent” when he describes the development aims of the region’s first mine. “Mining is brand new in this area, so it’s essential to build a sustainable mine,” Joncas says. “We want to be accepted by the neighbours, whether it’s the First Nations that live next to us or even the cottagers around the mine. Maarten van Koppen, senior project engineer at Goldcorp. 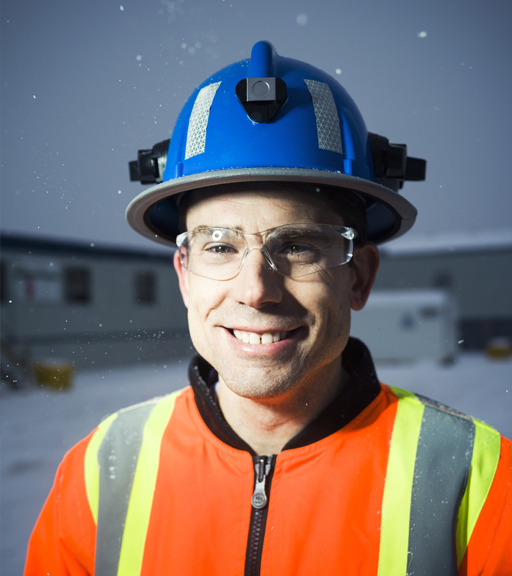 Goldcorp senior project engineer Maarten van Koppen produced Borden’s pre-feasibility study and all associated engineering leading up to it. Goldcorp has designed Borden Lake to become the world’s first all-electric underground mine when it reaches commercial production next year, an undertaking the company expects to not only help minimize community and environmental impact but also improve health and safety for employees – all while boosting Goldcorp’s bottom line. John Mullally, Goldcorp’s director of government affairs and energy, considers a shift to cleaner, more sustainable mining practices essential. By the time Borden is in full production, there will be no diesel-powered equipment underground. A combination of tethered electric and quick-charge battery-powered equipment will comprise the entire fleet. By eliminating diesel underground and fully electrifying Borden, Goldcorp anticipates a 70 percent reduction in greenhouse gases and annual savings of 2 million litres of diesel fuel and 1 million litres of propane. The company also expects to save 35,000 megawatt hours of electricity yearly, due in large part to drastically reduced ventilation needs. John Mullally, Goldcorp’s director of government affairs and energy. “Electrification is the ultimate win-win, especially complemented by innovations like ventilation on demand and full connectivity,” van Koppen says. “The main benefits that we see with going electric are certainly the elimination of fuel, reduced maintenance, reduced greenhouse gases, reduced power consumption, and of course the biggest one is the elimination of diesel particulate matter in underground environments, which is hugely beneficial to the health of the workforce. Miner Randy Harrison appreciates the absence of underground emissions at Borden after working in conventional diesel mines across four continents since 1980. 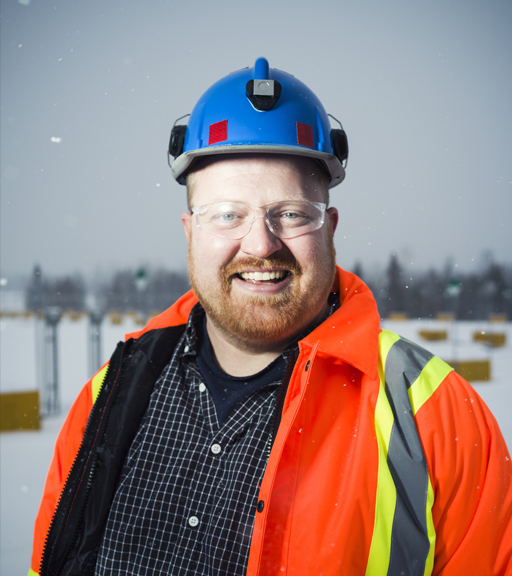 He’s behind the controls of a Sandvik DD422iE, one of two identical units Goldcorp depends on to develop Borden’s access ramp. Joncas calls the jumbo “the star of the fleet. Sandvik DD422iE is connected to the grid at Borden while drilling, during which the jumbo charges the battery it uses to manoeuvre between faces. Goldcorp is a leading gold producer focused on responsible mining practices with low-cost production from a high-quality portfolio of mines throughout the Americas. 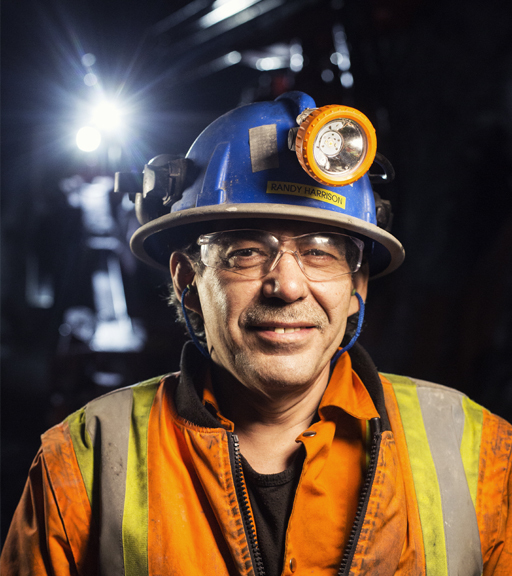 A Canadian company headquartered in Vancouver, British Columbia, Goldcorp employs more than 15,000 people worldwide and is committed to being responsible stewards of the environment and to maintaining the highest health and safety standards. The rig’s fully integrated battery technology means no change-outs, a safety and productivity benefit, Joncas says. He also cites the regenerative braking system as a plus and says the electric driveline in Sandvik DD422iE makes it much easier to maintain than conventional jumbos. Goldcorp bought Borden from a junior explorer for 526 million US dollars in 2015. With current gold reserves of 950,000 ounces, the operation figures to produce more than 100,000 ounces per year over at least a seven-year mine life. Ore will be trucked 160 kilometres (100 miles) to Timmins for processing at the Dome mill at Goldcorp’s Porcupine Gold Mines. “Using an existing facility that operates extremely efficiently and not having to permit and build a new mill and tailing facility minimizes our cost and our environmental footprint,” Joncas says. Decline construction at Borden began in mid-2017 and a 30,000-ton bulk sample is expected to be extracted and analyzed by the end of this year with production expected to begin in 2019. The Borden Lake gold project is being developed as the world’s first all-electric underground mine. Decline construction began in mid-2017 and a 30,000-tonne bulk sample is expected to be extracted and analyzed by the end of this year, with production expected in 2019. Located in Ontario, approximately 11 kilometres northeast of the town of Chapleau and 160 kilometres southwest of Timmins, Borden Lake has gold reserves of 950,000 ounces and is part of Goldcorp’s plan to increase production by 20 percent by 2021. By eliminating diesel underground and fully electrifying Borden, Goldcorp anticipates a 70 percent reduction in greenhouse gases and annual savings of 2 million litres of diesel fuel, 1 million litres of propane and 35,000 megawatt hours of electricity. Sandvik DD422iE is an electric development jumbo designed to drive down production costs while reducing the environmental impacts of drilling and tunnelling. By using electric energy from an onboard battery during tramming, Sandvik DD422iE produces zero emissions while manoeuvring between headings. This improves health and safety for miners working underground. Less diesel usage in a mine thanks to diesel-free drilling can ease ventilation requirements, while also reducing associated diesel logistics and maintenance expenses. Using a mine’s existing electric infrastructure, the Sandvik driveline technology enables the battery to recharge during the drilling cycle. The battery will even recharge while Sandvik DD422iE is tramming downhill, using energy generated by the braking system.